← Snowstorm: The Musical: Live! Have you hugged a chemist this year? 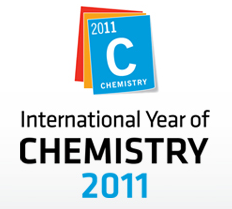 In case you were unaware, 2011 is the International Year of Chemistry. It has a fancy logo and everything. No word yet as to whether the IYC has successfully lobbied to change the atomic number of carbon to 2011. According to the IYC website, the purpose of the year is to have “a worldwide celebration of the achievements of chemistry and its contributions to the well-being of humankind.” That makes what I do sound vaguely important. It was conceived by the International Union of Pure and Applied Chemistry. IUPAC is famous for coming up with all the horrible nomenclature rules you may have had to learn to label chemicals if you have ever taken chemistry. They are also famous for their fancy logo, which is WAY cooler than the IYC logo. I see some globe type things, a balance, a flask, and something that looks like a cannon. I sort of looks like a face, and the guy has a moustache. Or maybe a pipe. Or perhaps it’s supposed to be testicles. It sort of looks like that too. Someone should tell testicles that they shouldn’t be smoking a pipe. Anyway, IUPAC wanted chemistry to have a little party, but they wanted it to last a whole year and wanted to make sure that EVERYONE nerdy was going to come. So they invited UNESCO to come along. UNESCO likes cake, so the IYC was born. I’m not entirely sure where I was planning on going with this. You see, I donated blood tonight, and my head is a tad fuzzy at the moment. I feel like I have the attention span of a grapefruit. Yep. 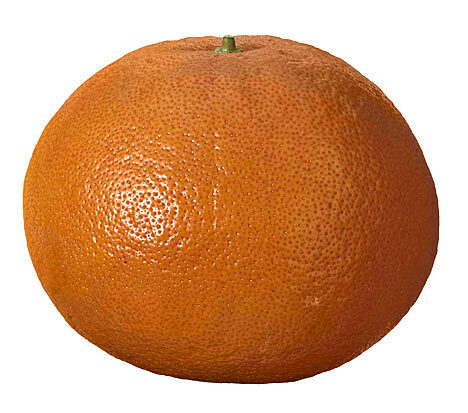 This is a grapefruit. Or maybe some ADHD kid trying to eat a grapefruit, but maybe wants to be eating cupcakes or paste or something instead. Or whatever. 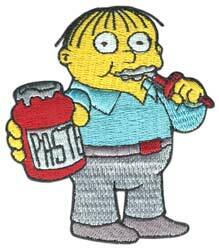 Why the hell was this ever embroidered on something? The suspense is killing me. Will he? Won't he? Even if he know's he'll strike out? 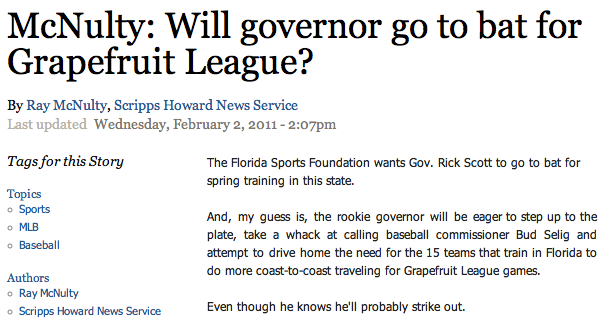 What is a Florida Governor Rick Scott to do? Anyway, I think what triggered this was a friend sharing this video, wherein an animated character suddenly has an existential crisis because chemistry stops being a thing. It turns out that the American Chemical Society makes a ton of other videos, all equally entertaining for young and old, including this one that ruins magic. The excitement just never ends. So, bow down to mighty chemistry, or it will smite ye good. And each time you see a chemist in 2011, give him or her a big hug. Don’t tell them why. They’ll know. Grapefruit again: I’m still not sure where I was going with this. I actually think chemistry is somewhat cool, but I think I’ve just managed to be slightly sarcastic about this. I also don’t know how to end this. Perhaps I should plan this sort of thing out better if I’m going to post semi-regularly. Or just not post after donating blood. This entry was posted in Uncategorized, Vaguely Sciencey. Bookmark the permalink. 4 Responses to Have you hugged a chemist this year? 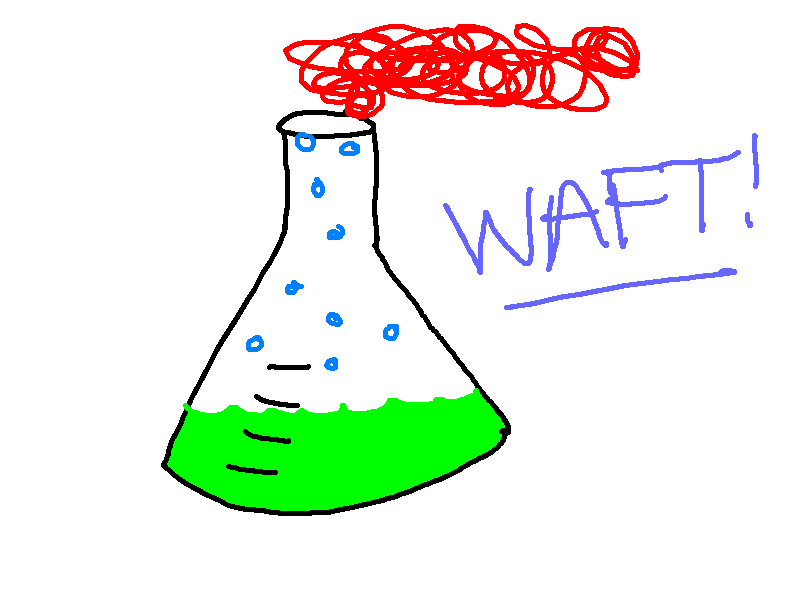 That is one magnificent Erlenmeyer flask my friend. I approve. IYC needs more t-shirts…. “Hug A Chemist”?? ?